G&L was founded in 1980 by George Fullerton and the legendary Clarence “Leo” Fender. Few people know about Leo’s time after leaving Fender, in which he designed some of the first Music Man models and then founded G&L where he worked until his passing. These instruments featured some of Leo’s final innovations to the electric guitar, including the Magnetic Field Design (MFD) pickups. Let’s take a look at some variations of MFD pickups and the G&L guitars that feature them. While many G&L guitars feature familiar body shapes, one thing that really sets them apart is their use of MFD pickups. 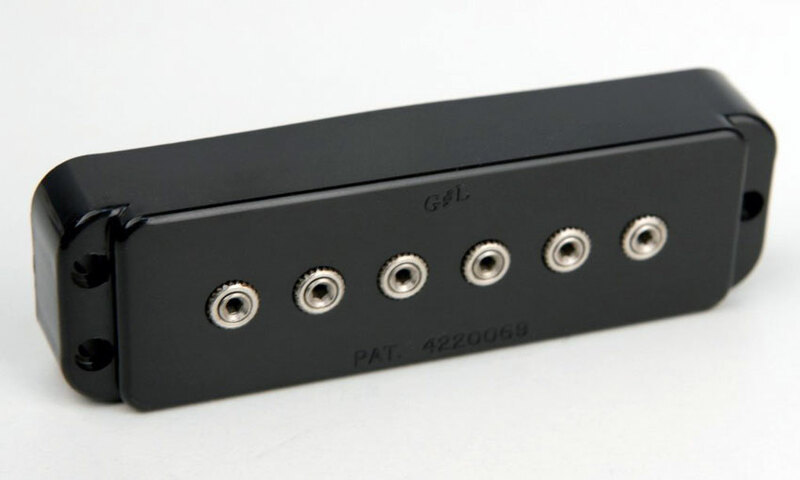 These pickups use a ceramic bar magnet installed underneath each coil, with soft iron adjustable pole pieces to transfer the magnetic field to the top of the pickup. The result is a much more focused magnetic field and a more responsive pickup. Most traditional single-coil pickups only allow for height adjustment of the pickup as a whole, but on the MFD pickups, the pole pieces are individually adjustable. This allows the player to better tame the EQ of their guitar, as well as to adjust the volume of each individual string. When compared to other single-coil pickups, the MFDs tend to have a hotter output and a more balanced tone. The low end is much fuller than you would expect for a single-coil pickup, and the higher harmonics really shine through. Paired with G&L’s passive treble and bass controls, it’s really easy to dial in the perfect tone for any musical setting. These pickups were first featured on the Skyhawk, but are also used on most ASAT models, and the S-500. Just about every Strat and Tele player on the planet has had to deal with it at some point: 60-cycle hum. This pesky noise can ruin a gig or the perfect take on a recording. While there are several ways of dealing with this issue, Leo decided to tackle it right at the source. The result was the MFD Z-Coil pickup. Essentially, the Z-coils are humbucking pickups that still retain the tonal characteristics of single coils. Similar in design to the pickups you might see on a P-Bass, these pickups have split coils that are spaced apart to be hum-canceling. Like the standard MFDs, these also have adjustable pole pieces, a hotter output, and a well-rounded tone suitable for any genre. These pickups are featured on the Comanche models, as well as the ASAT Z-3. Another variation of these pickups are the Jumbo MFD pickups. These pickups are voiced similarly to a P-90 pickup, but with a little more bite. These fat single-coil pickups are perfect for anything from twangy licks to soaring rock leads. These pickups are featured on the ASAT Special line, which many guitarists consider Leo’s best single-cut guitar design. 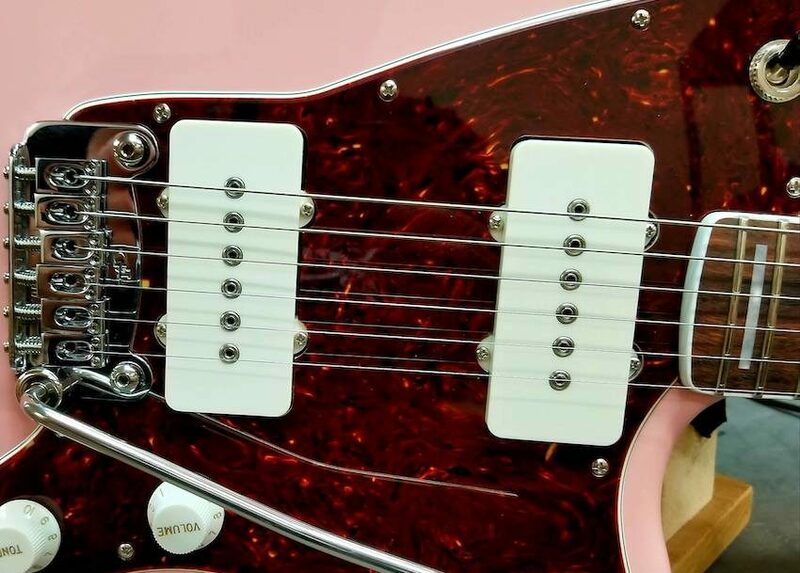 In recent years the Jazzmaster has made a huge comeback and has been a popular guitar among scores of new artists. 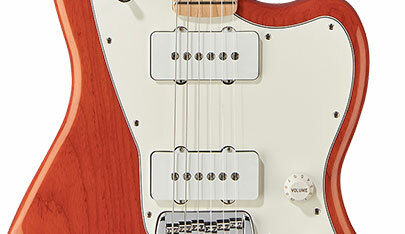 In 2018 G&L created their own spin on the offset classic, as well as a new pickup design. The G&L Doheny features MFD Jazz pickups, which are shaped and voiced similarly to the pickups you would find in a Jazzmaster, but offer the same advantages of other MFD pickups: Individual pole piece adjustment, hotter output, and a well-rounded frequency response. As of now, the Doheny is the only G&L model to feature these pickups. One other big advantage to all of these pickups is that you don’t have to break the bank to get them. Even G&L’s Indonesian Tribute Series guitars feature the same made-in-the-USA pickups used on their American models. So you can get that sweet MFD tone at a fraction of the price! Leo Fender was a true innovator and pioneer throughout his entire life. He was always trying to improve on his designs and push the electric guitar forward. G&L is another testament of that legacy that lives on in the hands of guitarists worldwide. In addition to blogging about gear, the experts at zZounds have been making it easy for musicians to purchase the gear they need since 1996! What about the MFD humbuckers in the new Doheny V12? I wanna hear more about those. Can be run series humbucker, parallel humbucker, or single coils. Great article and information for probably the most underrated and misunderstood pickups made.